In 2017 total assets of Barclays Bank plc were 1,129.34 bln GBP. Decline compared to the previous period (2016) was -6.97%. 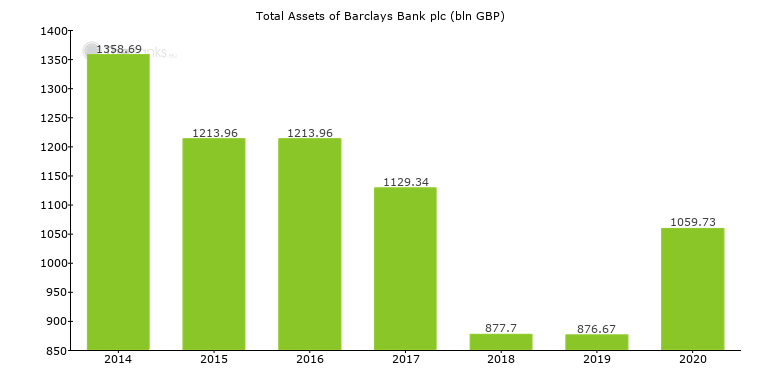 The evolution of the total assets of Barclays Bank plc is shown at Chart 1 below. Chart 1. Total Assets of Barclays Bank plc. In 2017 annual profit of Barclays Bank plc was -1,937,000,000.00 GBP. Decline compared to the previous period (2016) was -167.56%. 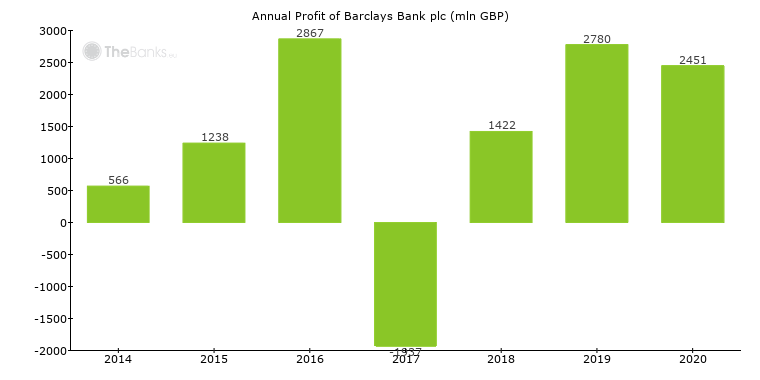 The evolution of the annual profit of Barclays Bank plc is shown at Chart 2 below. Chart 2. Annual Profit of Barclays Bank plc. In 2017 net income of Barclays Bank plc was -1,937,000,000.00 GBP. Decline compared to the previous period (2016) was -167.56%. 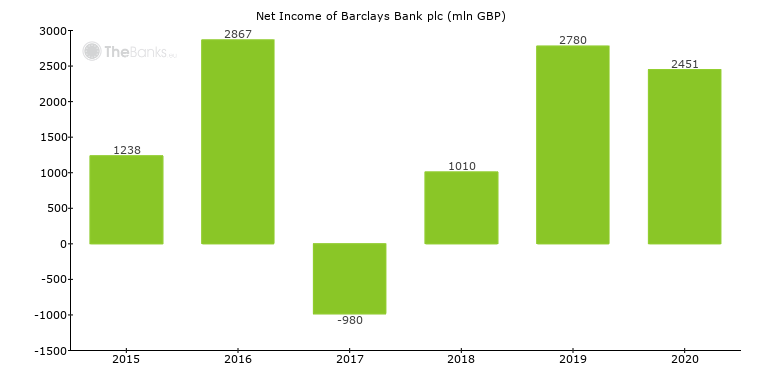 The evolution of the net income of Barclays Bank plc is shown at Chart 3 below. Chart 3. Net Income of Barclays Bank plc.